I've upgraded my PC and need new activation code. Where can I get it from? You can generate a new activation key through our online registration system. Please follow instructions on our Software Registration page. A Nissan DataScan manual prepared by Blazt can be downloaded from here. A lot of information about Nissan ECUs is also available from various web sites and internet forums. Can I reprogram my ECU with Nissan DataScan I software? No. Most Nissan ECUs use ROMs or MCUs to store maps. Those can not reprogramed through a Consult port without modifying the ECU. Will the Nissan DataScan I work with my car? All tested cars are listed under Supported Vehicles but if your car has a Consult port and the ECU uses a Consult I protocol chances are it will work. Is there a trial version of Nissan DataScan I software? 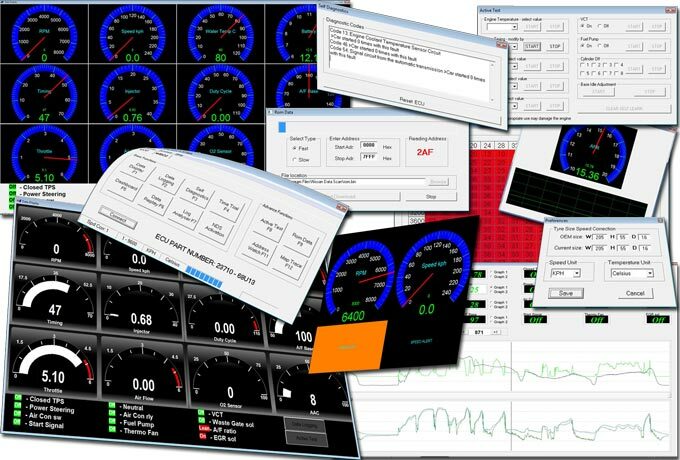 The unregistered version of Nissan DataScan I allows free use of Live Register Test, ECU Finder and Dashboard functions. Users can test their Consult adaptor before activating the software. Is Nissan DataScan I software compatible with Win 7, Win 8, Win 10? Yes. The NDS I software has been tested on Win 7, Win 8, Win 10 and is working fine. Where can I get the Nissan DataScan I software? The FAQS page will constantly be updated, so here is a direct link to the page on our knowledge base.